Using Personalized Trick-Or-Treat Bags like this special pillowcase for your Halloween candy means you have endless amount of room to store all of your treats! 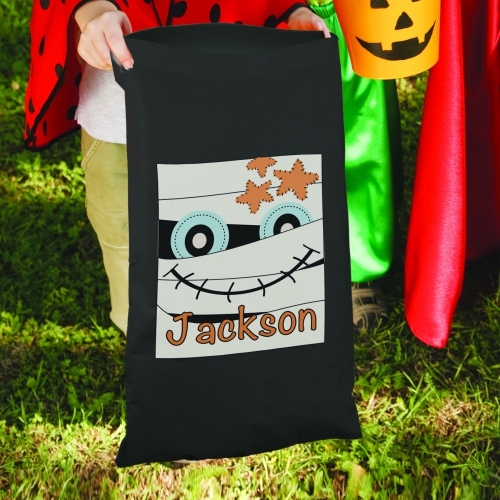 This fun Halloween Treat Sack features a mummy design and may be personalized with any name. It is sure to light up the faces of all little boys who use it this Halloween.